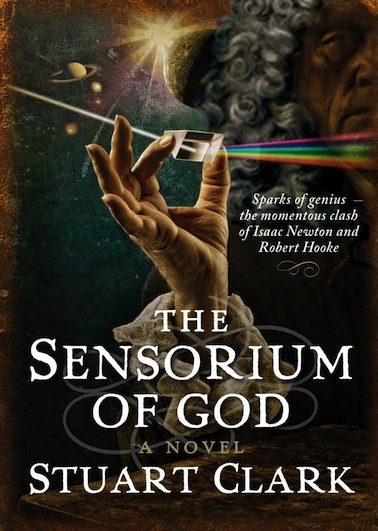 The Sensorium of God is the second in an inspirational trilogy of novels which dramatically bring to life key moments in our understanding of the cosmos - when our view of the Universe changed forever. Stuart Clark recreates Restoration England, effortlessly blending science into an enthralling narrative of triumph over adversity. It is the late seventeenth century and the movement of the planets remains a mystery despite the revolutionary work of Johannes Kepler, Galileo Galilei and Tycho Brahe almost a hundred years previously. Edmond Halley - dynamic adventurer and astronomer - seeks the help of Isaac Newton in unravelling the problem, but though obsessed with understanding the orbits of the planets, Newton has problems of his own. The reclusive mathematician and alchemist has a guilty secret. He stole some of his ideas from Robert Hooke, and the quarrelsome experimentalist demanding recognition. While capable of the loftiest ideals and theories, the three men are just as quick to argue and their grudges could derail the quest for scientific truth. The men's lives and work clash as Europe is pushed headlong towards the Age of the Enlightenment and science is catapulted into its next seismic collision with religion.